Samsung has created a way to enjoy your movies at home like never before with its HW-K950 Dolby Atmos soundbar to deliver three dimensional sound and take your experience to another level. Audio quality can add so much more to your enjoyment of a movie and Dolby Atmos is the latest standard to provide not only directional sound but also sound from above you as well. Dolby Atmos (Atmos being short for atmosphere) can require an elaborate set-up with a receiver and speakers placed around the room and even in the ceiling. 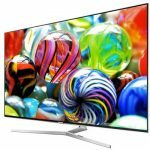 But with the HW-K950 soundbar, Samsung has taken all that technology and created a solution that is easy to set-up and that delivers stunning audio quality in up to 5.1.4 channels. The .4 figure at the end are the number of upward firing speakers that reflect off the ceiling and back down on the viewers. 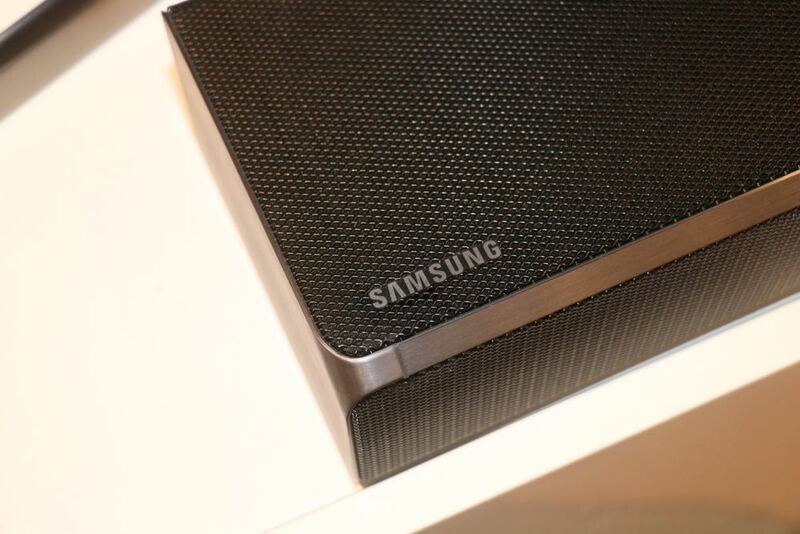 Tech Guide took a look at the Samsung soundbar and put it through its paces. 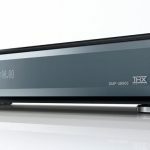 Many of the latest movie releases on Blu-ray Disc and 4K Ultra HD Blu-ray include the Dolby Atmos soundtrack so you can hear sound coming from all sides and from above. 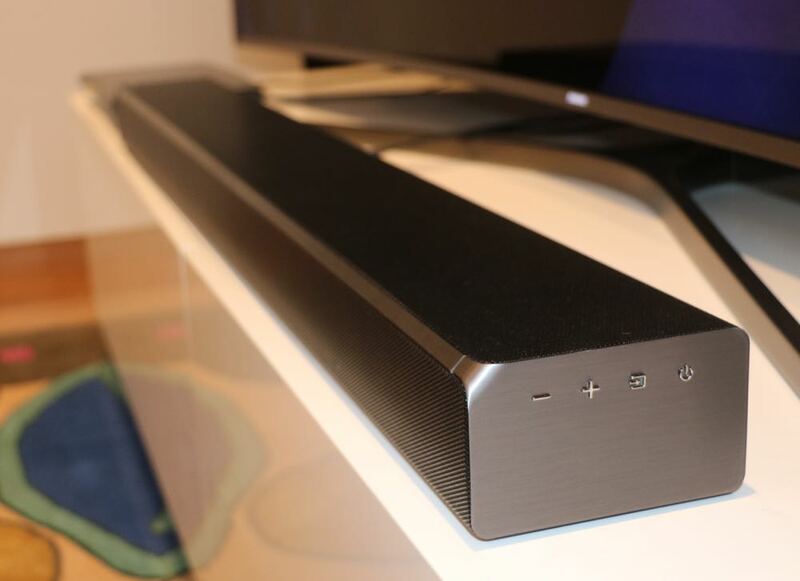 The Samsung HW-K950 Dolby Atmos soundbar is just 5.3cm high which means it can rest unobtrusively in front of the TV and it has speaker grills on the front and top panel. 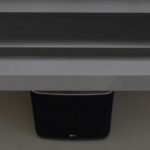 Also included is a subwoofer and rear speakers which all connect to the soundbar wirelessly – but each of these speakers need their own power source. The soundbar has left, right and centre speakers built into the front panel and two upward firing speakers on the top panel. 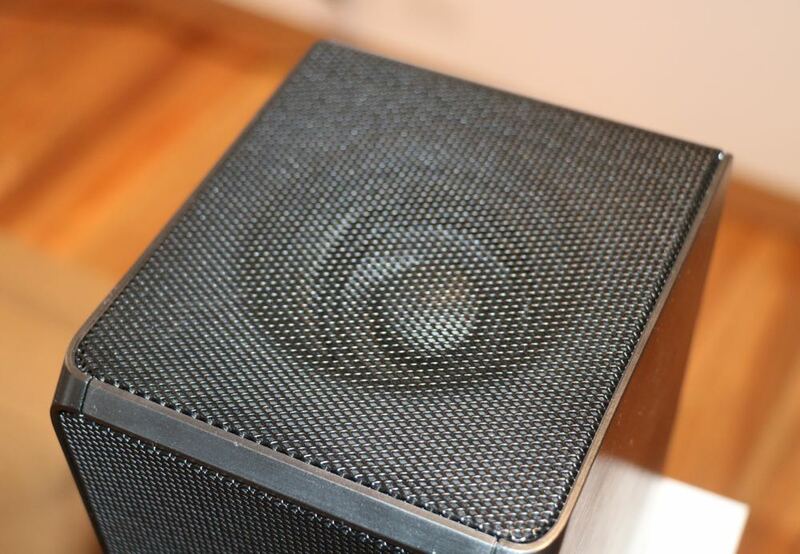 The rear left and right speakers provide the usual directional sounds and they also have an upward firing speaker to complete the Dolby Atmos effect. All up there are fifteen speakers in the system which were developed and tuned at Samsung’s dedicated audio labs in Los Angeles. 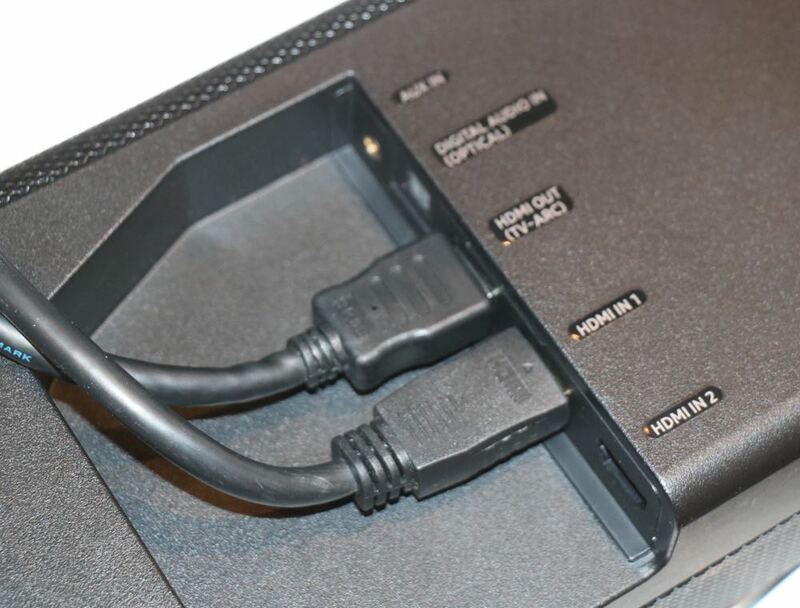 The HDMI connections are tucked neatly into the bottom of the unit and, with 4K pass through onboard you can connect your 4K player and 4K UHD TV to the unit. 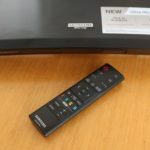 If you’re connecting a Samsung TV and Samsung 4K UHD player to the soundbar, you’ll be able to control everything with one of those remotes. 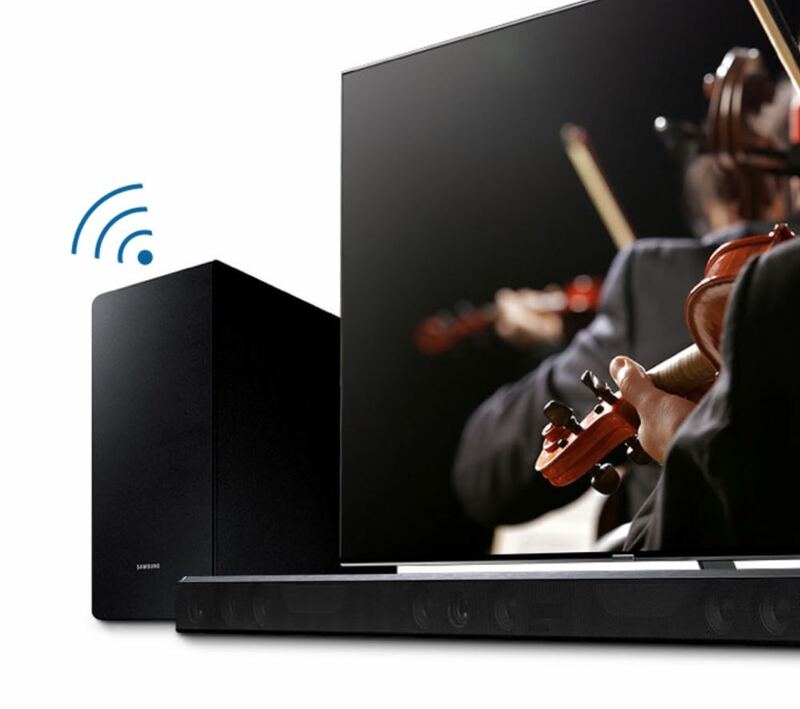 For something that’s so easy to set up, the Samsung HW-K950 has a jaw-dropping sound. 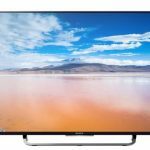 To achieve this with a regular home theatre system you’d need a dedicated receiver, speakers all around you as well as speakers installed in the ceiling and suddenly you’re looking at a system that costs tens of thousands of dollars. But what Samsung has been able achieve with a $1,999 soundbar is nothing short of remarkable. We watched several movies which included a Dolby Atmos soundtracks including X-Men: Apocalypse, Transformers: Age of Extinction, John Wick, Mad Max: Fury Road and Game of Thrones. What we found with Samsung’s soundbar and Dolby Atmos was a fuller sound that went above the horizontal plane. Those upfiring speakers are responsible for this effect. And as a result the sound appeared to coming down on us whether it was rain or debris or the sound of a plane or a spacecraft. You might even find yourself ducking for cover. The result was like being in the middle of a sphere of sound. Atmos is a great name for this sound standard because it created an atmosphere for the movie. An atmosphere made entirely of sound that immersed us even further into the movie we were watching. And it wasn’t just the 3D sound we enjoyed. The clarity from the surround speakers and soundbar were also very impressive. We could clearly hear the tinkle of broken glass, the patter of raindrops and even the rattle of spent bullet shells hitting the ground. 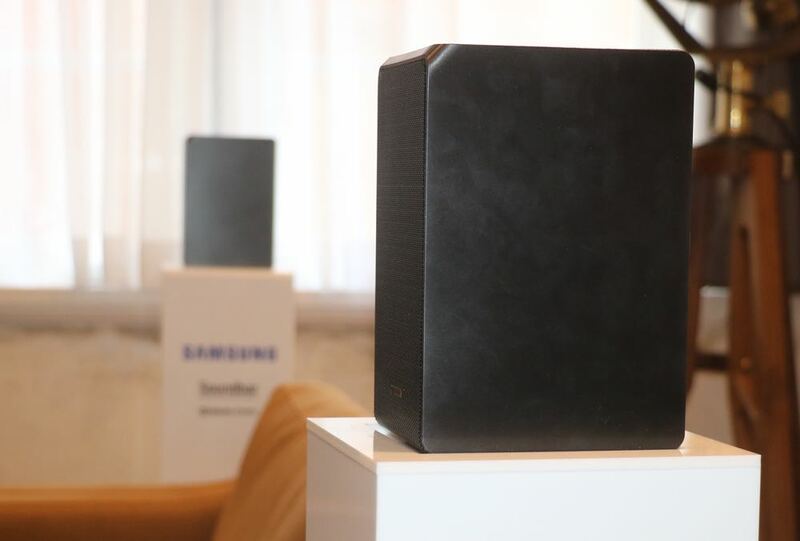 The wireless subwoofer that’s part of the Samsung system also more than held its own and stamped its authority on the soundscape with some solid bass. On the music side, the Samsung HW-K950 also has Bluetooth onboard so you can stream your HD audio wirelessly and enjoy the same amazing quality you’ll hear with your movies. Samsung’s HW-K950 Dolby Atmos soundbar delivers quite a punch and is an excellent system both in quality and value. It’s one of the best soundbars we’ve heard. PROS: Easy to set up, astonishing sound, low profile design. CONS: Not sure how it will play with other brand TVs. 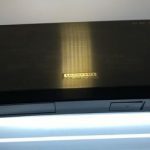 VERDICT: Samsung’s HW-K950 Dolby Atmos soundbar delivers quite a punch and is an excellent system both in quality and value. It’s one of the best soundbars we’ve heard.